DAS Sport is the manufacturer of roll bars, roll cages and composite bodywork for Porsche and BMW clubracers and driver's education participants. 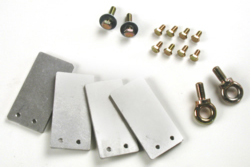 Precision engineering allows easy installation, exact fit and superiority to all other brands. Porsche and BMW owners order with confidence knowing their roll protection or accessory will fit and add uncompromising safety for any high speed event. Porsches have always been known for their engineering excellence and structural integrity, which provide superior driver protection. However, even the best design can benefit from added safety when the vehicle is stressed beyond normal. Safety is always the top priority with DAS Sport products, but our designs also place major emphasis on aesthetics. 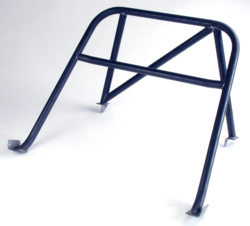 You can rely on our products to ’fit’ your Porsche in form and function. DAS Sport ’look’ like they belong in a Porsche ’ almost like the way the factory would have done it! For example, bars intended for fitment in coupes are designed to follow the ’B’ pillar and roofline as close as practical. Likewise, those for Cabriolets allow use of the factory windscreen and convertible top. Additionally, attention to design allows ample fore and aft seat bottom movement. The people at DAS Sport believe that one should not make compromises to protection or design when it comes to safety, and DAS Sport products bear this out! DESIGN: This specially designed bar, made exclusively for the 911 Coupe model years 1974 to 1989, requires no cutting, no drilling, no additional holes or any other modifications to the interior, upholstery or body of the car. The thoughtful design of the bar hugs the interior "b" pillar area and roof line. 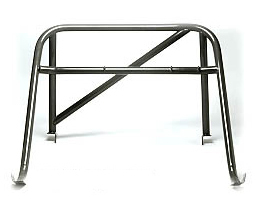 The bar uses existing welded in, threaded lugs from the Porsche factory as its mounting points. Loads are carried by the stronger rocker sections rather than the floor. Careful attention to design allows ample fore and aft movement for the front seats. Completely reversible installation. Harness bar height follows NHRA guidelines. CONSTRUCTION: Features 1-3/4" DOM mild steel tubing, 0.120" wall thickness, tig welded joints and air craft quality hardware. All bars come bare metal and can be painted, powder coated or leather covered by the buyer. Accepted for PCA Club Racing, stock class cars. NOTE: This product has a flat shipping rate within continental US. Please add item to cart for shipping cost or contact us for a quote. Headquartered in Central Virginia, DAS Sport is a professional fabrication facility specializing in engineered products for performance race vehicles used on racetracks. Founded in West Chester, Pennsylvania in 1992 by Bill and Colin Dougherty, DAS Sport is capable of engineering and fabricating the latest safety and performance enhancing products used in todays race vehicles. Originally concentrating on Porsche vehicles, DAS Sport has expanded its marquee coverage to include BMW cars, with a special emphasis on Porsche. Known as one of the most comprehensive fabrication shops, DAS Sports specialized and experienced professionals have provided solutions to some of the most challenging vehicle problems.